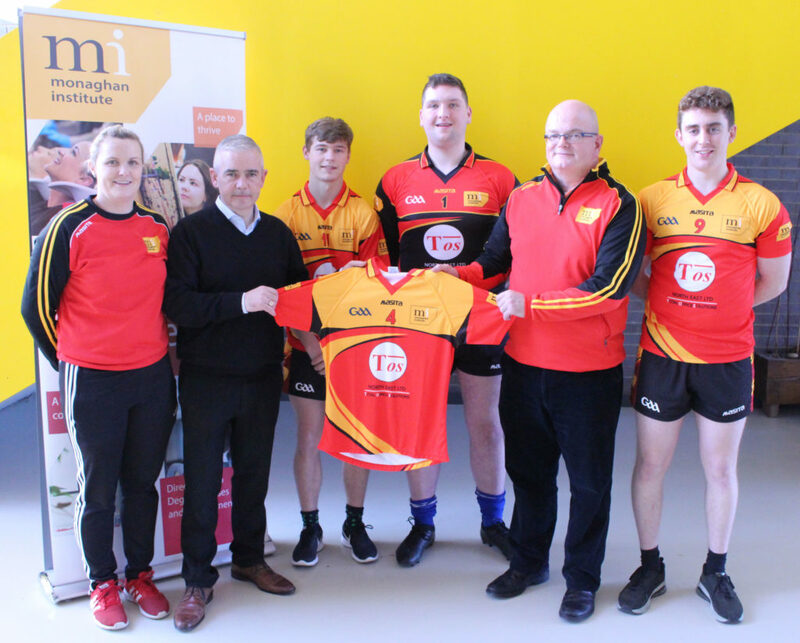 Monaghan Institute is pleased to announce the continuation of the sponsorship of the college Men’s GAA team jerseys by local company TOS NE. Pictured are: TOS NE Managing Director Niall Watters presents the new jerseys to Ben Norry, selector with Monaghan Institute. 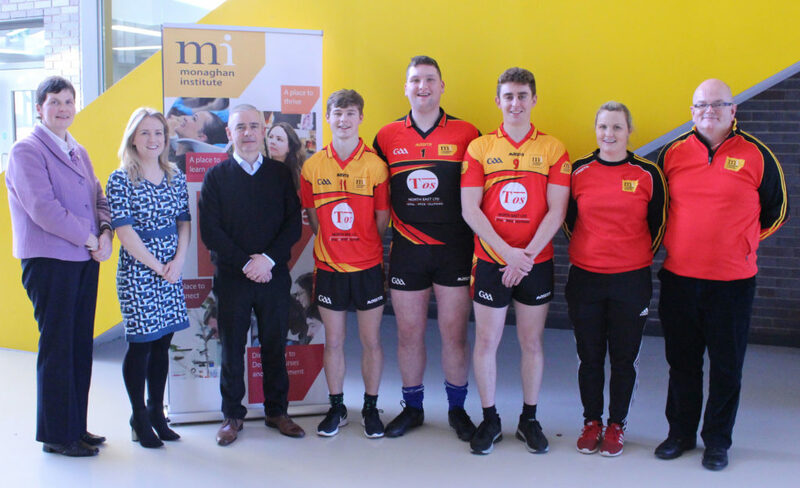 Included in the photo is Elaine Reilly, teacher; Niall Watters, MD TOS NE; Ben Norry, players Christopher Mc Dermott and Tommy Geehan; Ray Quinn, teacher.